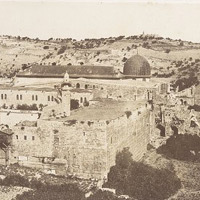 Penn's libraries are home to a wide range of special and general collections related to the Holy Land. 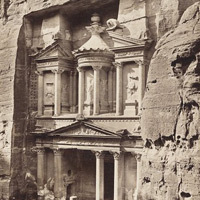 These include primary sources such as rare manuscripts, early modern printed books, travelogues, early photographs and printed postcards, engraved and hand-illustrated maps and atlases, original archeological artifacts, field reports, and extensive circulating secondary sources. 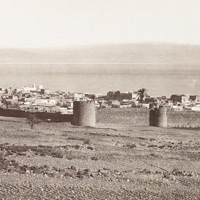 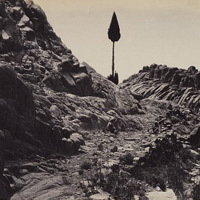 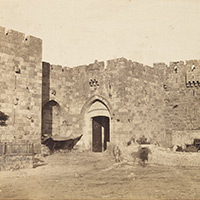 Among the most important are the Lenkin Collection of Photography, which consists of over 5,000 early photographs of the Holy Land, dating from 1850-1937 and the Paola and Bertrand Lazard Holy Land Print collections, including hundreds of early printed books, postcards, maps, drawings, and watercolors. 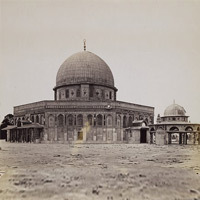 Recent acquisitions include the Moldovan Family Digital Holy Land Map Collection and the Zucker Holy Land Travel Manuscript. 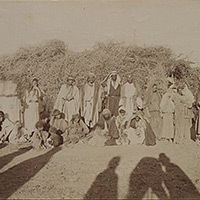 Related materials at Penn are found in the University of Pennsylvania Museum's rich collection of early photographs, including nearly 1,500 original Maison Bonfils photographs, as well as in the Museum's historical records and field reports of archeological excavations at places like Bet Shean in Israel. 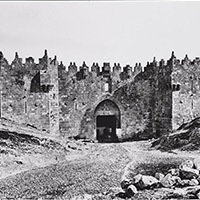 The Penn Libraries' Holy Land Collections are located on campus at the Kislak Center for Special Collections, Rare Books and Manuscripts, the Museum Library and the Library at the Herbert D. Katz Center for Advanced Judaic Studies, which is home to the historic Holy Land collections assembled at the Dropsie College for Hebrew and Cognate Learning. 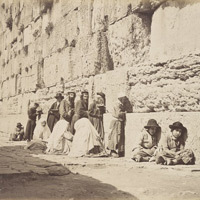 The Katz Center is a global leader in the study of Jewish civilization, supporting a fellowship program that attracts scholars in Jewish studies from around the world for research on a common annual theme. 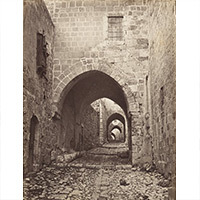 Thanks to a major gift from Edward Lenkin (C'71, PAR'12), the Penn Libraries acquired in 2009 an outstanding collection of historical photographs of the Holy Land. 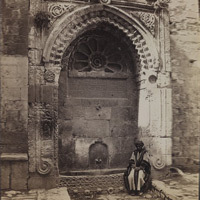 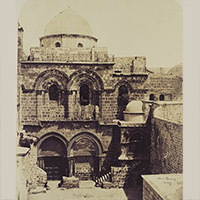 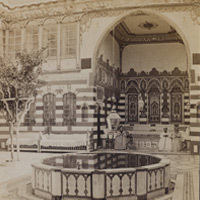 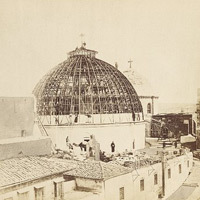 The Lenkin Family Collection of Photography at the Penn Libraries, as it is now known, comprises over 5,000 original photographs, primarily of Jerusalem and Palestine taken from 1850 to 1937. 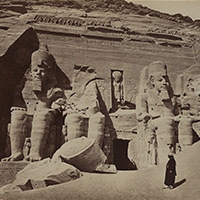 These photographs serve as primary source materials for teaching and research across a broad spectrum of disciplines, including the history of photography, architecture, regional planning, religious studies, history, and political science. 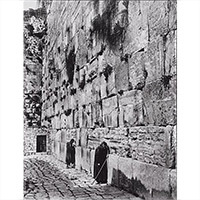 These physical photographs are original witnesses to the architecture, topography, and archeological exploration of the Holy Land from the earliest days of photography into the 1930s. 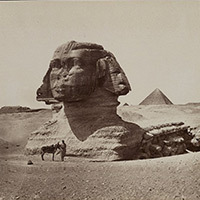 The collection also includes 813 additional photo-reproductions, a reference library of nearly 100 secondary sources, and an extensive archive of notes and documents. 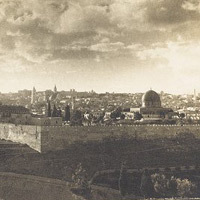 Among the photographs are dozens of images of the Western Wall and stunning panoramas of Jerusalem as seen from the Mount of Olives and Mount Scopus. 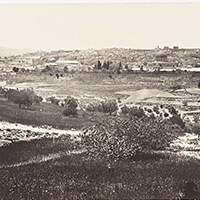 Great thanks to the leadership of Carton Rogers, Vice-Provost and Director of the Penn Libraries, to Oren Weinberg, Director General of the National Library of Israel for supporting the digitization of the Lenkin Collection, and to Dror Wahrman, Dean of the Faculty of the Humanities and Vigevani Professor of European Studies at the Hebrew University, for the invaluable role he played conceiving and advising on this project. 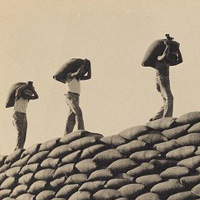 We also are most grateful to Dennis Mullen of the Kislak Center, who designed the web page, and to the Library Technology Services department for the development, adaptation, and maintenance of the technical architecture supporting the operation of this page. 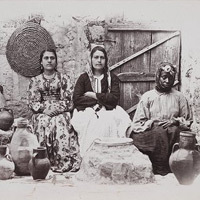 The Lenkin Collection has been digitally photographed by Ardon Bar Hama through the generosity and support of the National Library of Israel. 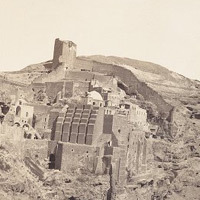 Louise Strauss (C'82), a devoted Penn Libraries volunteer, cataloged the Lenkin collection in its entirety.